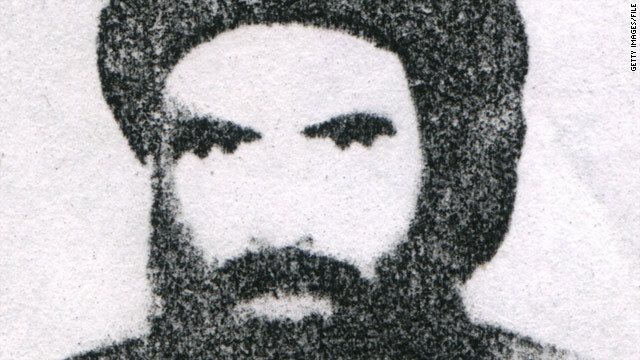 If compared to Mullah Omar I must admit to be a coward. If compared to US-Nato soldiers, I am an heroe. Now with OBL gone, NSA and CIA will be using their resources to go after him. I think it's only a matter of time. It seems like those cursed goons always get their man,much to my chagrin. Then again,the German SS were equally successful during the 1930's and 40's. Then there'll be another sickening field day for the right-wing thugs in Washington as usual after they murder this guy,too! Mullah Omar is a true heroe. Well said,salerno. The right-wing thugs in Washington have been trying to murder him for years on end!!! Pamiri – try to put in your little brain that Mullah Omar fought against the Russia along with the US. Mullah Omar was in Pakistan with his Fathers ISI Pakistanis and some days ago disappeared, could be he killed on the way by Pakistanis and later on they will throw him out to Afghanistan under the name of some operation and would say look Mullah Omar was in Afghanistan to give compensation for the America to meant their relationship, as never America believes on Pakistan, just America wants him to do fight against extremist and barbarism in the country, but this time the world can not bear that their sons sacrifice their lives here, while the Pakistan is playing game! Best of luck to you, your family, and all the people of Afghanistan. May your country return to a greatness higher than it was before the Soviets brought destruction. Mullah, you and your family are next, I hope you have MetLife!!! Very strange. Pamiri says he was killed in Pakistan however no one saw him when he was two weeks back fighting in Kandahar for days. He is still in Kandahar, commanding his forces against occupation forces. Pamiri know this however he as usual misguiding Americans to put them in confrontation with Pakistan as after all he is paid by the Indians to defame Pakistan. BANGASH, come on man, you know nothing about Mullah Omar, and honestly i don't know where that bast@rd is. why you are leaving baseless comments that he is in Kandahar ? Specialists are saying Mullah Omar is in Quetta – Pakistan ! then why you are leaving baseless information? Are you a Taliban leader ? Are you a Security expert ? NO ! then SHUT THE F00K UP. Right now i don't know where you are living and i give false information that BANGASH is living in Brazil, do you think it's good to provide false information when i have no info about you ? BANGASH, it's work of Security experts and they better know where Mullah Omar is, so please don't talk bullsh!t where he is. as i said, sooner or later, he will die. so nothing to worry about. People like Mullah Omar never goes to battle field, they are the commanders, they only command their students what to do, Mullah Omar can never be in Kandahar, he can be in Capital of a country and living like a king. ONCE AGAIN – NO BASELESS INFORMATION PLEASE. IF YOU HAVE TRUE INFO, SUBMIT LINK AND PROVE IT else STFU !! !